How do you take the greatest story ever told and stay true to it, even when one of the main characters never says a single word in the source material? This was the question I was anxious to tackle with Academy Award-nominated animator Timothy Reckart when I met him last week. 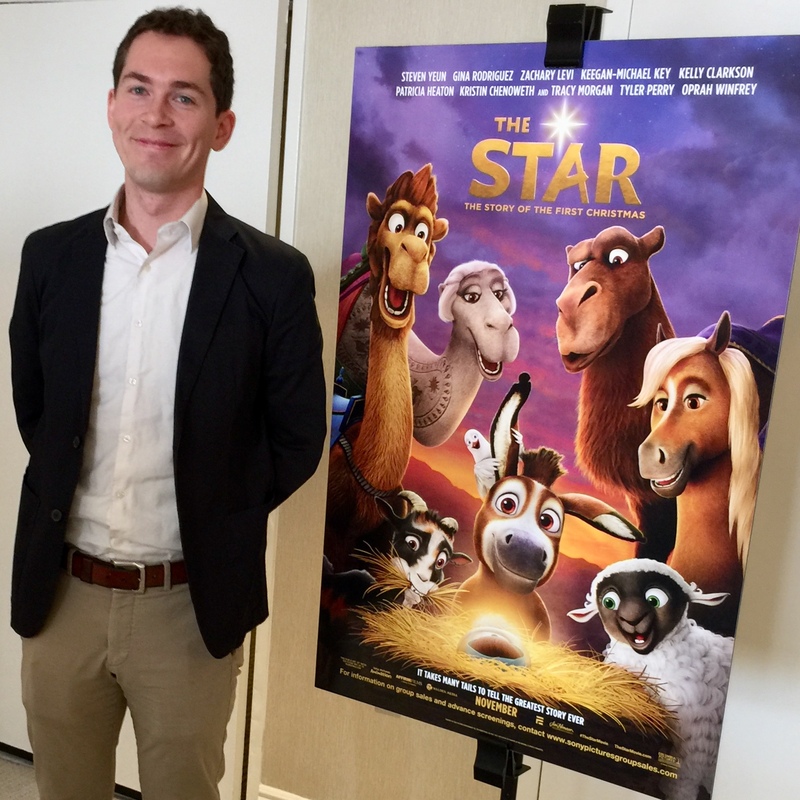 Reckart, who serves as Director of Sony Pictures Animation’s The Star (catch my review here), is a practicing Catholic whose faith most definitely inspired his work on this film. Some folks may look at The Star and wonder how you can take a story as reverenced as the Nativity and adapt it to entertain and inspire modern audiences. In my mind, Reckart and his colleagues succeeded in their mission to stay true to this time-honored account of the Annunciation and Christ’s birth. But they also succeeded in winning the hearts of young viewers and their grown-ups while respecting the ultimate source, the Bible. When I was working on my book The Strangers at the Manger, I grappled many times with my desire to help my readers fall more deeply in love with the Nativity. One particular challenge for me was getting Saint Joseph “right”. I approached that challenge by immersing myself in the gospels, reading works on the life of Saint Joseph from trusted sources, and spending many, many hours in lectio divina style prayer. I immersed myself in the early pages of the gospels according to Matthew and Luke, playing those “scenes” out in my mind and asking myself what I would see, smell, taste, hear and feel if I could have been a fellow traveler alongside Mary and Joseph. I traveled that dusty road to Bethlehem many times, imagining myself young, pregnant and afraid. I pondered Joseph’s plight too, marveling all the while at his capacity to trust, to obey and to serve so humbly. I think this is why I’ve fallen so quickly in love with The Star. What Timothy Reckart and the gifted team under his direction have given us is not the Bible, chapter and verse. Rather, this film is an invitation to know those verses more deeply in our hearts, and hopefully, as a result, to fall ever more deeply in love with the Christ Child. Hopefully, fueled by that love, we can trust, obey and serve as Mary and Joseph did. I have to respect not only the art and music and voice performances that make The Star so special, but also the fact that upon viewing it I immediately wanted to pick up my Bible and read that story I’ve read so many times before. If our Advent season can begin with a family viewing of this film and then a period of preparing our hearts to receive Baby Jesus with the same sense of mission Bo the Donkey felt, I believe we will have a more fruitful Advent and a more beautiful celebration of the true meaning of Christmas. 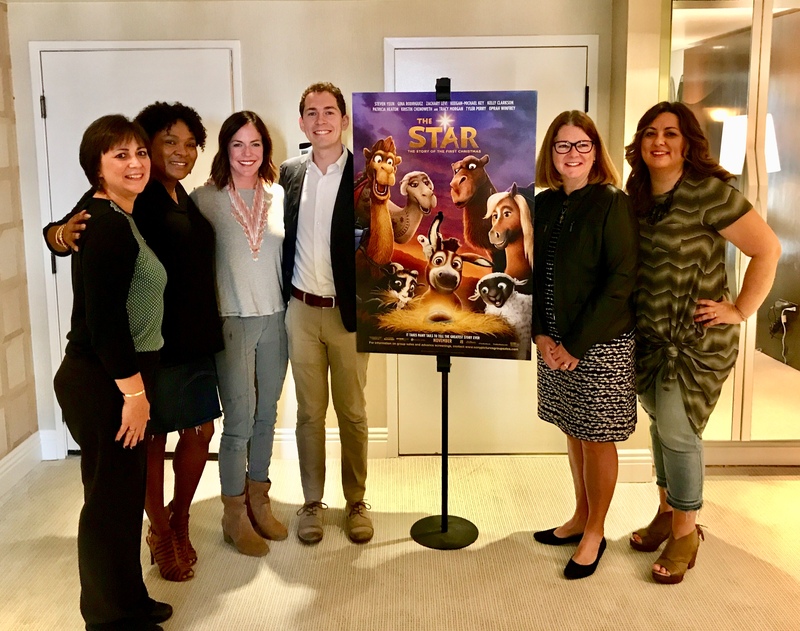 Lisa Hendey joins bloggers for an interview with The Star director Timothy Reckart. Today, I’m happy to share Tim Reckart’s response to my question. I’m including a slightly edited transcript below which offers Tim’s answer for your convenience. Question: Congratulations, the film is incredible and what a gift to our families so I want to thank you for that! I’m really curious about adapting this particular story. I noticed how true you stay to the biblical narrative. How did you fill in some of the blanks, for example with Joseph, who doesn’t say a word in scripture? And then when they get there, there’s no room at the inn, they are having a baby inside of a barn and everything’s falling apart. I think that gives him (Joseph) an arc where he has to let go and trust that God is going to take care of things, even if he can’t take care of them himself. It’s kind of an interesting way to show that even someone who is very close to God has room to grow. With Mary, it was kind of the opposite tack. It’s also more interesting in a film (and perhaps more true to life) when you have a married couple that’s kind of opposite—opposite and complimentary—but very different from each other. And so if that’s Joseph, who is always planning ahead, maybe Mary is the one who’s more open to improvisation. She trusts! She just automatically trusts that everything’s to be fine. God’s got the whole world in his hands. Whatever happens, God is willing it. And she (Mary) takes a lot of comfort in that. And to me, the jumping off point for that is just that at the Annunciation, when she talks with the angel, she’s not asking, “Well, how’s this going to work?” She just says, “Yes!” to the angel. And so trying to extrapolate an entire personality based on that attitude, that actually even gives Mary a place to grow and learn because she maybe at first doesn’t necessarily know that the journey ends with the cross. I think there is a moment in the movie where she has an intuition that this may not all be fun or fine. There, she also says, “Just because God has a plan, it doesn’t mean it’s going to be easy”. That’s kind of her area of growth. The goal was to create characters on the clues we have in the Bible that also gives each character an opportunity to have an arc. Catholic Curriculum from National Conference for Catechetical Leadership – This six-part curriculum explores key elements from the first Christmas and everyday life, including:prayer, friendship, divine providence, vocation, the Christmas story and Las Posadas. Watch special movie clips from THE STAR as you learn how the characters helped each other and followed God’s destiny for their lives. Each lesson is packed with prayer, activities, Scripture, faith-sharing questions and times of reflection.